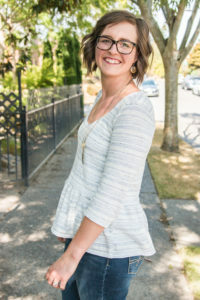 Today I am going to be giving you a quick rundown on grading between sizes with my patterns, because once you are comfortable doing this the sewing world is your oyster. The first step is to locate where your measurements fall on the size chart. The following steps apply to all of my patterns, for this post I will be using my Greenwood pattern as the example. At the top of every size chart I let you know what the fit of that pattern should be, this information is important for determining the fit and any adjustments you might want to make in addition to grading. Now that you have determined where your measurements fall, lets move to the actual pattern pieces. 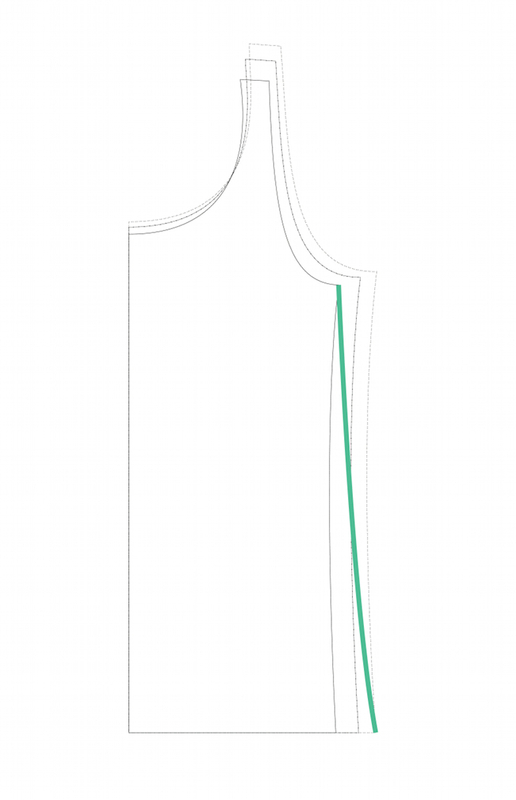 The top part of your pattern piece will be the size associated with your bust measurement, all of your grading will start at the underarm. All of my pdf patterns allow for choosing only the layers you want to print when using Acrobat Reader. This is a great feature because it not only saves ink but helps when grading so you aren’t confused by all the extra size lines, all you need to do is select the sizes you determined from the size chart and print. Now that you are ready to go grab a pen and draw a new side seam starting at the underarm and curving down to the correct hip size. 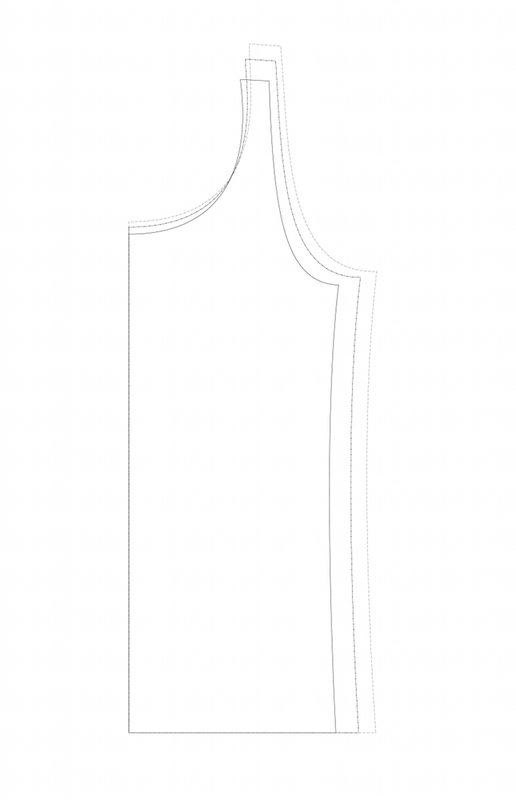 Try to follow the curves of the original pattern piece as best you can. But when grading between such drastic sizes like myself I can’t always keep the original curve. 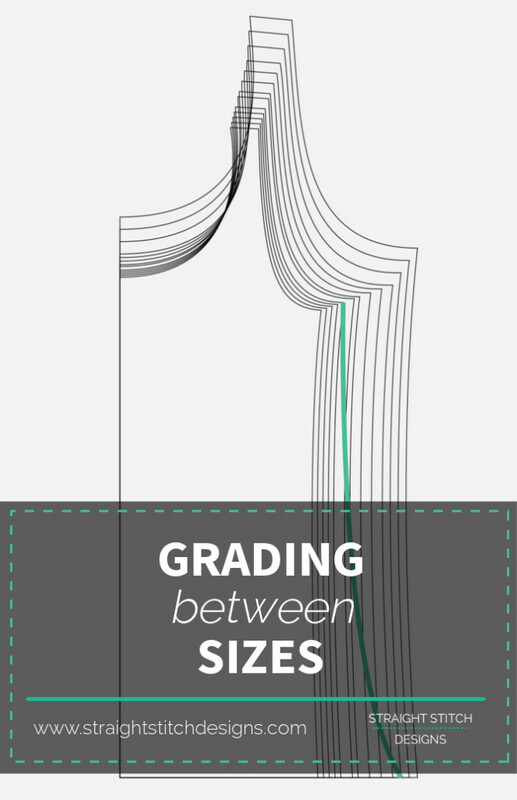 Grading between different sizes doesn’t have to be perfect but just make sure that the changes you make to one pattern piece you make to all of the pattern pieces the measurements apply to. For example if you grade the front piece, make sure to also grade the back piece. If there is something like a bottom band on the shirt, such as my Ballard pattern, make sure to use your hip size for the bottom band since that is what you graded out for the bottom of the pattern piece. Before long this whole process will be like second nature and you won’t even have to think about it. But until then you can always reference back to the post to remind you the best way to achieve the perfect fit when sewing your own clothes. Nicely written. That makes perfect sense. 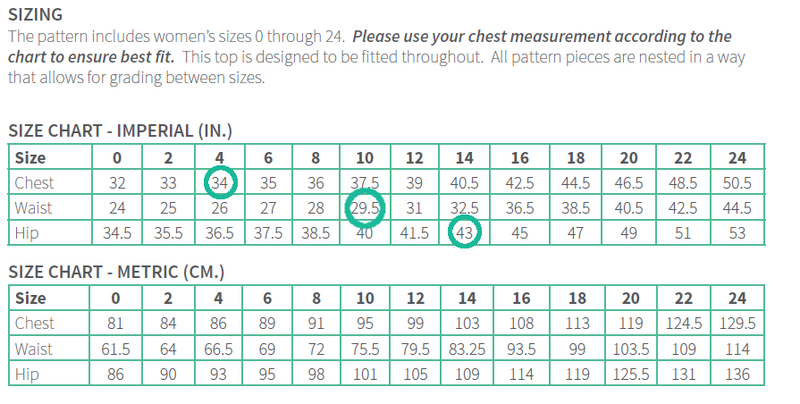 When working with sewing patterns I highly recommend you only work from the measurement charts provided and not the size you buy in ready made clothes. When a designer creates a pattern they are creating it based off of the size chart they created so the pattern fits your measurements. In terms of the ease that is needed for the garment to fit. You do not want to choose your size based on the finished measurements unless you are experienced in how garment sewing and fitting works. What I would do is make a practice version of the pattern you are interested in some fabric that isn’t super expensive to see the fit and then make adjustments from there. Let me know if that helps or if I can give you any additional help. Hi Kimberly, The rep at a major pattern company suggested I look for a tutorial and I came upon your website. I am sewing for my niece who is several states away. Expensive fabric too and I don’t want to waste it. The pattern has princess lines on the top with a dropped waist and in the skirt it has pleats. The challenge is her measurements go from a size 10 in the bust to a size 16 in the waist and hips. It seems like a leap of 3 dress sizes might look really ridiculous when I grade it for a fitted top like this but with a much larger waist. Do you have any tutorial that addresses my challenge or what would you suggest. The pattern has multiple sizes in it but it’s just such a leap. I might add that she is a size 4 or less in retail but the pattern company insist she is a 16 (in the waist and hips) according to their sizing.